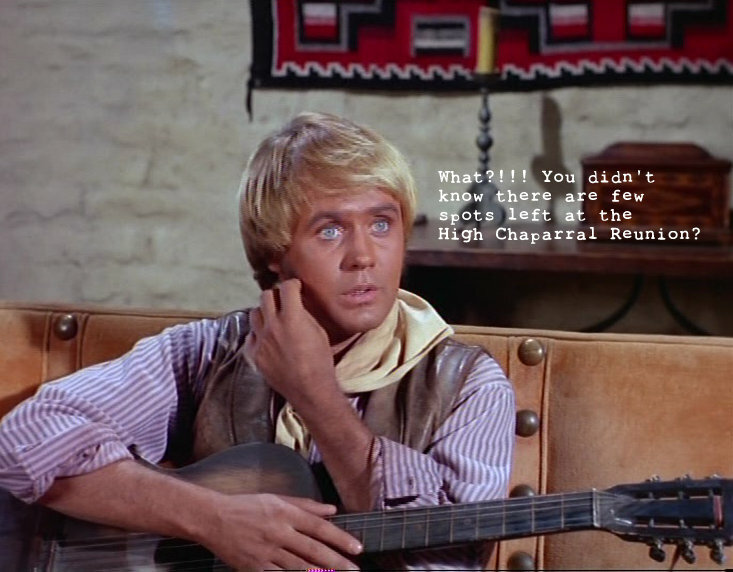 We're down to the last few spaces left for The High Chaparral Reunion! Don't be disappointed, book now or miss the party! Dinner at White Stallion Ranch is sold out. The Sunday Tucson Tour is down to only 6 open seats. Right now we can still take reservations for the other main Reunion events..... but sign up now and don't be left out! For Manolito fans, Henry Darrow has announced he doesn't plan to attend future Reunions, so this is your chance to meet Manolito Montoya, geta copy of his successful biography Lightning in the Bottle, and have it personally signed! Reprint/Vintage from October 09, 1988|By Nancy M. Reichardt, United Feature Syndicate. 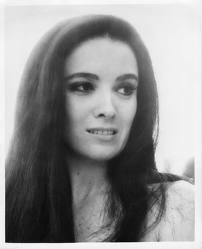 NEW YORK — When movie and television star Linda Cristal recently made her daytime debut on ``General Hospital,`` it was touted as her big comeback. But Cristal, who plays Dimitra, the mistress of crime boss Victor Jerome (Jack Axelrod), said it`s actually the fourth time she has come out of ``retirement`` since she began her career. 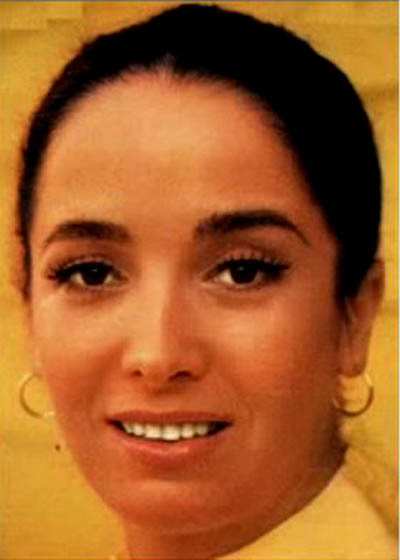 An actress since age 13, Cristal (who was born in Argentina) dropped out of the national spotlight for nearly a decade after ``High Chaparral`` left the airwaves. She went on to carve out a successful career in real estate and also started an import/exporton ABC-Ch. 7). Twice divorced and the mother of two grown sons, Cristal said it`s a challenge to play Dimitra because she loves mobster Victor Jerome unconditionally-even though he has not married her. Because Victor has a heart condition that could kill him, there `s a good chance that Dimitra might eventually be left behind to fend for herself. If that happens, Cristal hopes it won`t spell the end of her character`s story line. 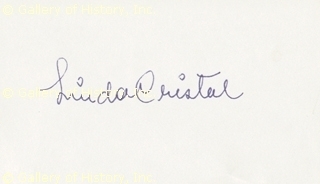 Cristal, who won three Golden Globe Awards for her role on ``High Chaparral`` and was twice nominated for an Emmy, wrote a semi-autobiographical story about child abuse 10 years ago. She is now trying to get it published. A veteran of 35 films, including ``The Alamo`` with John Wayne and ``Mr. Majestyk`` with Charles Bronson, Cristal hopes one day to return to the big screen-perhaps in a movie version of her story. She also wants to direct. It goes without saying that I was saddened to hear of the recent passing of Henry Wills. He will always hold a very special place in my heart. 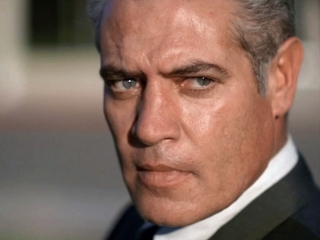 For Hank, as he was known to most of the men and women in the film business, was, indeed someone very special. Hank was the first person on the series technical team whom I met. As the second unit director and stunt coordinator, Hank was also one of the best “horse people” in the business, having been involved in the western genre for several decades before he got around to us. Hank had worked on literally hundreds of feature westerns and TV series and was already a legend in town. Remember the extraordinary axe handle fight that Alan Ladd fought in “Shane?” Hank Wills staged that spectacular scene. When Marlon Brando needed someone to teach him the ropes of portraying a movie cowboy in “One Eyed Jacks” he called on Hank. And, when the series pilot script described the huge Indian battle to be shot “at the director’s discretion” the director turned the action and camera angles over to Hank for what turned out to be one of the best western battle sequences ever filmed for television. When I arrived at his sister Stevie Myres’ movie horse ranch to be “fitted” with my series horse, it wasn’t lost on me that “Soapy” was trotting around in the same paddock with the very horse that James Stewart had ridden in many of his western films. I knew I was in good company. Up until then, the only horses I had ridden had been on my Aunt Betty’s farm in Ipswich, Massachusetts. But, they were trained “English” style. So, it was up to Hank Wills to try to make this Yankee into a southwestern cowboy. He was a great teacher. Kind, soft-spoken and very patient. He explained to me that a horse must always know that its rider is in command and not the other way around. If a horse feels that its rider is tentative, it will make him nervous and skittish. He also told me never to forge that you’re riding on the back of a living creature with a mind of its own. As an example, during one of our early rides together, Hank led me along a trail that ran through a rather deep stream. He had already warned me that horses will sometimes lay right down in the water, rider and all, if you don’t “move ‘im on through it.” Especially, if it’s a hot summer day. Which it was. And I wasn’t paying attention. And yes, I did get very wet! And, yes, everyone had a good laugh at my expense…including me. Hank also drilled us on what to do in case of an emergency. Such as being on the back of a runaway. Although that never happened to me on the series, it did when I was filming an episode of “Grizzly Adams”. Unbeknownst to me, the horse I was given to ride was a local roping horse, not used to being around a television company. However, I was assured by the production’s stunt coordinator that the mount had been tried out and was safe. It wasn’t. On my first riding shot, the animal bolted for a mile long open field filled with jagged rocks and wouldn’t stop no matter what I did. Then, I remembered Hank Wills’ words, “Don’t panic. Reach down and grab the reins as close to the horse’s bit as you can Then, pull its head right around so it’s looking right into your eyes.” I did and it worked. The horse slowed just enough for me to slip out of the saddle. I let someone else chase after it and walked back to the set singing, “There’s no business like show business…” and thanking my lucky stars that I’d listened to Hank Wills. As I’ve already stated, there was something very special aboutt his tough, gentle, patient man that anyone who came in contact with him couldn’t help but walk away with Maybe, it was the part of his heritage that was Native American that gave him that extra wisdom to be able to connect with people. I do know that I am that much better a person for having known him. I wish to extend my heartfelt condolences to his wife and family. Especially, to his son Jerry whom his father was extremely proud of and who is carrying on the tradition. This photo of Mark Slade is a sampling of The High Chaparral conversation on Facebook. If you aren't on Facebook with High Chaparral you're missing the party! If you haven’t LIKED HC on Facebook then join the conversation, re-post, share, and spread the word! Big John needs more ranch hands! 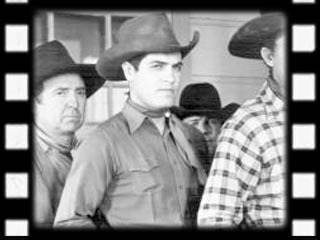 The annual Santa Clarita Cowboy Festival will honor Rudolpho Acosta with a star April 18th. The ceremony will be filled with Country music, line dancing, gourmet food trucks, Western vendors, and the unveiling of the newest Walk of Western Stars for Lee Marvin, Stuart Hamblen and Rudolfo Acosta. 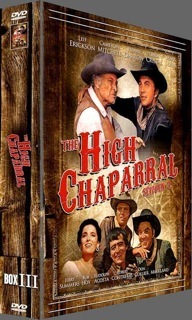 Netherlands publisher ART-S plans to release Season 3 of The High Chaparral in August 2013. The region-free Season I and II releases from ART-S are popular with fans as they are digitally remastered, uncut, have the original English soundtrack and play in the majority of U.S. DVD players. In Scandinavia fans can look forward to a Season 3 release in October. A final category is a single appearance by an animal in a television program. 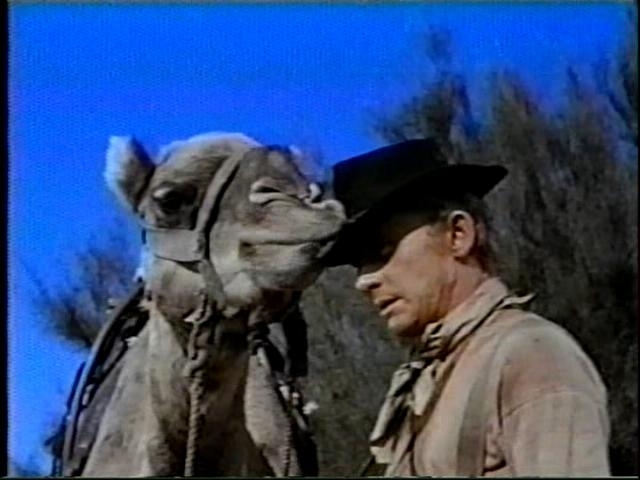 If Sharkey, the camel, from The High Chaparral, fails to win it it will be as great an injustice as the Lassie oversight. 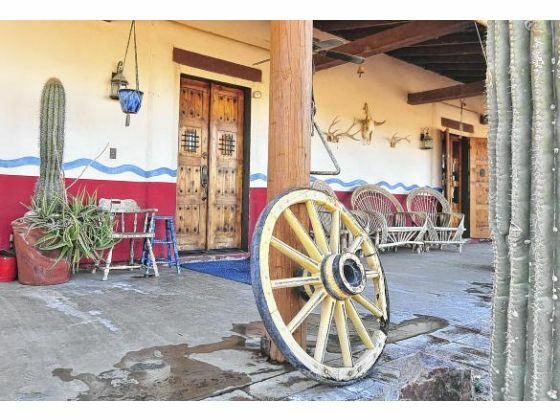 An old Western television series, "The High Chaparral" — the saga of the Cannon family's hardships in the Old West — inspired a Yuma businessman to build his own home as closely as possible to an exact replica of the home in the TV series — except for the dirt floors. Why did Ronnie Rubino, owner of Ronnie's Pizza, select The High Chaparral as his theme? Rubino said that he considers that show to be perhaps the most authentic western to depict the Old West. “It was real,” he said. “All the dust was real; the sweat was real because it was done mostly on location, (sometimes) in hundred degree temperatures. You hear them mention Yuma, the Yuma Prison, the Salt River and the Gila River. The Mexican culture was included (they spoke Spanish in the film),” he said. INSP Network sent excerpts on an interview their SVP of Programming, Doug Butts, did in October 2012 with one of America’s foremost western bloggers, Henry Parke of www.henryswesternroundup.com. Below are excerpts of their conversation. INSP thought that High Chaparral fans might enjoy reading a behind-the-scenes account of an INSP decision to include westerns in their lineup. HENRY: I understand INSP has been around for 20 years, but it’s had a low profile until now. Why the change? DOUG: So many people in our society find themselves facing dark moments with feelings of loneliness and defeat. There is so much in life to be thankful for. We want to turn on their light. So our brand has changed and we are all about the celebration of life, family and the need to rely on our creator and one another. HENRY: What brought you to INSP? DOUG: My wife and I were living in Dallas, Texas in 1994. I was working as a freelance Director/Producer. We wanted to get back closer to family so I was hired by INSP to direct a live event from Disney World. After that, they offered me a position. I’ve been with them ever since. It’s been an incredible ride and very rewarding to be a part of this organization. HENRY: What were your favorite Western TV shows and movies growing up? DOUG: As for TV I remember watching WAGON TRAIN, RAWHIDE, BONANZA, GUNSMOKE, THE BIG VALLEY, ALIAS SMITH AND JONES, THE HIGH CHAPARRAL, THE VIRGINIAN, THE WILD WILD WEST, and I even liked KUNG FU. As for movies, I still love those old westerns like SHENANDOAH, WINCHESTER 73 or THE MAN WHO SHOT LIBERTY VALANCE with Jimmy Stewart, SHANE with Alan Ladd. Any western movie that John Ford directed or John Wayne starred in. RIO BRAVO is one of my favorites. Of course you have to mention Clint Eastwood’s collections. There are so many to mention. I loved watching westerns with my dad. HENRY: I first heard about INSP when you brought THE BIG VALLEY, long off the air, back. Recently you’ve brought back the long unseen HIGH CHAPARRAL and THE VIRGINIAN. Is bringing classic western shows back a big part of your plan? DOUG: Yes. So far we have a great line up of westerns and plan to continue offering this brand of programming. So far our viewers love it. HENRY: What do you look for when selecting a show, western or otherwise? DOUG: The goal of INSP is to deliver safe, family-friendly entertainment. The family and community connection is such an important part of our daily lives. It is refreshing and rejuvenating to know that you belong. Our programming highlights these connections with moving stories of hope and struggle, like The High Chaparral, Bonanza and The Big Valley. Barbara Stanwyck’s character is one who loves family and community. She will risk all for family and stand up for her friends and neighbors at all costs. She is an individual of great character, integrity and warmth. But also one capable of chasing off the bad guys with a Winchester. You can certainly say the same about Ben Cartwright. We look for period dramas which focus on telling the story of the family unit. Stories that express loyalty, devotion and commitment. We feature period pieces like THE WALTONS and LITTLE HOUSE ON THE PRAIRIE that take you to a different time and place. Helping you to escape the regular routine. We are blessed to be a part of this great country. We want our programming to be an enjoyable experience that highlights these connections. The westerns help us highlight good versus evil. Faith, family and American life is great. Let’s celebrate life - together. HENRY: What is the idea behind SADDLE-UP SATURDAY? DOUG: Saddle Up Saturday was created to be a place to sit back and just binge view on westerns, (and it’s) proving to be a viewers’ favorite. As you mentioned we feature a great line up of some of the most popular TV western dramas in cable: The Virginian, The Big Valley and The High Chaparral are exclusive to INSP. We also feature Bonanza, and DR. QUINN, MEDICINE WOMAN. We will also occasionally feature some of your favorite classic western movies in our Saturday primetime line up in 2013. HENRY: How is INSP different from other family-friendly channels like Hallmark or Me-TV? DOUG: We’ve tried to create a network that viewers can trust. We call this “lunge-free TV.” People can relax any time of day because we respect them, and select programs that will be welcome visitors in the home. We try to foster a spirit of community. As we listen to viewers, we know that millions are hungry for a simpler, less cluttered lifestyle, and a time when families were close and heritage was celebrated. Throughout our schedule you’ll see everything from Westerns and contemporary dramas to situation comedies. But all programs stay true to timeless values consistent with our Judeo-Christian heritage. And we constantly look for programs with positive role models and stories that both entertain and inspire. HENRY: Are we likely to see more movies, western or otherwise, on INSP? DOUG: Yes. We will continue to feature western classics and ‘open range’ movies with wide open spaces on both Saturday and Sunday nights. HENRY: Have you considered original programming? DOUG: We are putting plans together to start developing original content in the very near future. Stay tuned! HENRY: What are your long-range plans for INSP? DOUG: To continue offering quality values-based, family-friendly entertainment. INSP is a great place to land for wonderful and safe family programming. Viewers who watch INSP are very loyal and we’re finding that they tune us in and leave us on for long lengths of time. INSP is a great alternative for inspiring entertainment with heart for family.